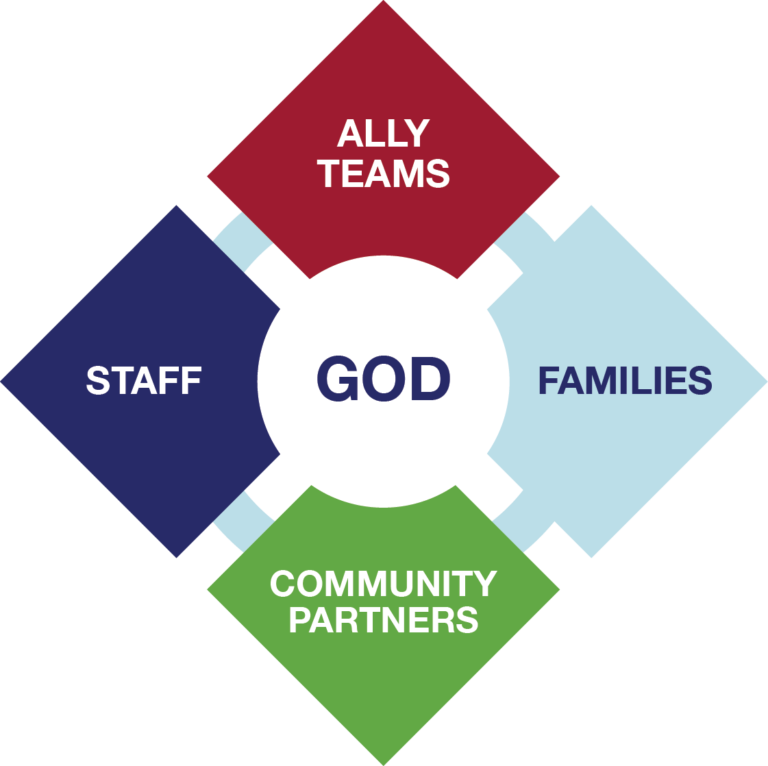 The mission of The Restoration House is accomplished in the context of a five-way partnership model, in which each partner works toward the overall restoration of the family. Below are some of The Restoration House’s collaborative partners. We are thrilled to be able to collaborate with Justlead in a robust and evolving youth development program here at The Village. This allows both of our organizations to daily work together to find more ways to holistically advocate on behalf of the entire family. TRH has developed strategic partnerships with many area churches. These are often two way partnerships where a church invests in the mother-led families at The Village, while The Restoration House is able to help the church grow more confident in the work they are already doing with mother-led families in their congregations. Red Cross– The Red Cross partners with TRH to provide single mothers educational opportunities in health care including certification classes. Goodwill Industries– TRH works with Goodwill for driver’s education and certification training for career paths in the medical field. American Job Center Knoxville – TRH works with AJC to help moms assess their skills, capacity, and passions when seeking new careers. Bellhops – Bellhops is our go to when it comes to moving families into their next home. They make each family feel special and get the job done right! If you use them for your next move make sure and use the code RestorationHouse40 for $40 your move, and they’ll send The Restoration House a $40 gift card. Christian Brothers Automotive – The team at CBA are always looks for ways to invest in the lives of mother-led families. They know that value of a good reliable car and the challenges for low-income families trying to work toward a new future. Compassion Coalition– Partnering with TRH, Compassion Coalition has helped families overcome minor financial roadblocks, while also co-facilitating the Cost of Poverty Experience throughout East Tennessee. Cornerstone of Dental Arts– Cornerstone partners with TRH to provide discounted dental services for the families of The Restoration House. Dayton’s Pest Control – Partnering with TRH to provide discounted preventative pest control services for The Village. Ebenezer Counseling Services– TRH partners with Ebenezer Counseling Services for discounted and pro-bono counseling services. Home Federal Bank – Manages the IDA matched savings accounts of families that choose to participate. Alliance for Better Nonprofits– ABN partners with TRH to provide capacity building services to the organization. Joshua Station– Joshua Station provides ongoing consulting and training to TRH on the transformational housing model that they have been perfecting over the last 20 years.  Owings Wilson Coleman – OWC partners with TRH to provide pro-bono legal support for TRH. UT’s College of Social Work– This collaboration provides bachelor’s and master’s level social work student interns to support TRH’s expanding program. UT Haslam Business College – Students at the college of business regularly help TRH with marketing and benchmarking projects. Warren Village– Warren Village provides ongoing consulting and training to TRH on the transformational housing model that they have been perfecting over the last 30 years. The Chalmers Center– The Chalmers Center partners with TRH to provide our single mothers financial literacy curriculum using Faith & Finances. Metropolitan Drug Coalition – Provides curriculum and trains facilitators to help develop strategic and healthy parenting skills. YMCA– TRH partners with the YMCA to provide discounted opportunities for our single–mother families to focus on physical fitness. NPREP – Their single’s based curriculum focuses on helping recognize and understand toxic verses healthy relationships, and the need for setting boundaries.